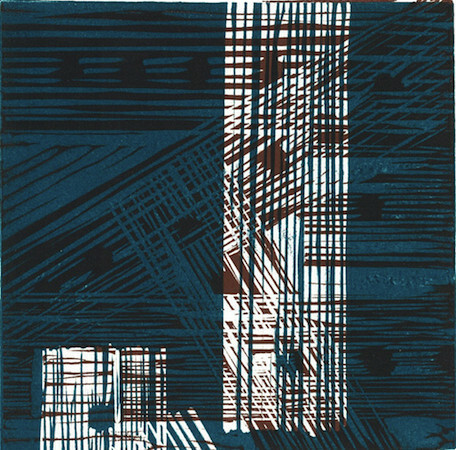 Angela Gardner, "Double Hawai'i" (Linocut print, 2009). The fourth installment of Pam Brown’s feature “Fifty-one Contemporary Poets from Australia” (ordered, “[i]n the interest of objectivity,” by “a recently invented ‘downunder’ method — the reverse alphabet”) includes work from Jane Gibian, Claire Gaskin, Angela Gardner, Liam Ferney, Michael Farrell, Kate Fagan, Chris Edwards, Laurie Duggan, Anna Couani, and Stuart Cooke, along with artwork by Angela Gardner and Chris Edwards. James Schuyler at the Chelsea Hotel, 1989. Photo by J. M. Baron. Just a little more than twenty years after his death, James Schuyler seems to be doing well, thank you. 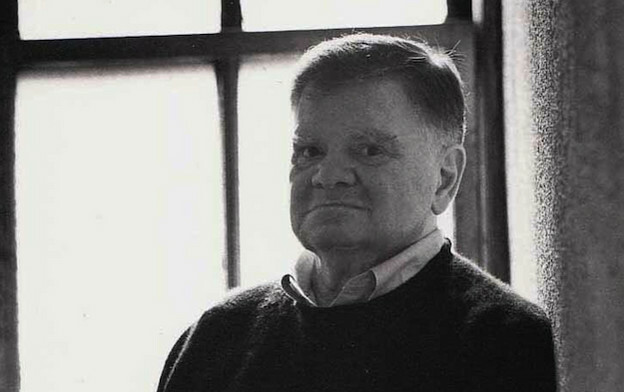 The bulk of his work is in print (his collected and uncollected poems, three of his novels, and his letters), while the out of print materials (his art criticism, his diaries) are easy and still relatively cheap to come by. 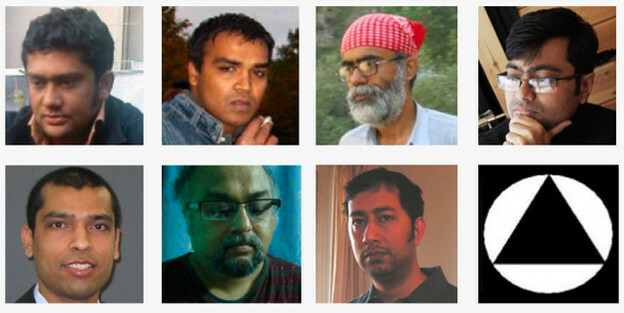 Top row, left to right: Raad Ahmad, Mesbah Alam Arghya, Santanu Bandyopadhyay, Subhro Bandopadhyay; bottom row, left to right: Sukanta Ghosh, Aryanil Mukherjee, Sabyasachi Sanyal, the logo of the Circumcontentive Poets. I was first introduced to Bengali poetry when I received a small book coauthored by Aryanil Mukherjee and Pat Clifford. Titled chaturangik/SQUARES, and published in Goa by CinnamonTeal, this book uses the game of chess to bring together two languages, English and Bangla. Each page renders nine squares of the chessboard with one outlined in black — if you flip through the pages this outlined square progresses across the board in accordance with the rules of the game.